It was all about the numbers for Braden Holtby on Monday night. There’s no doubt No. 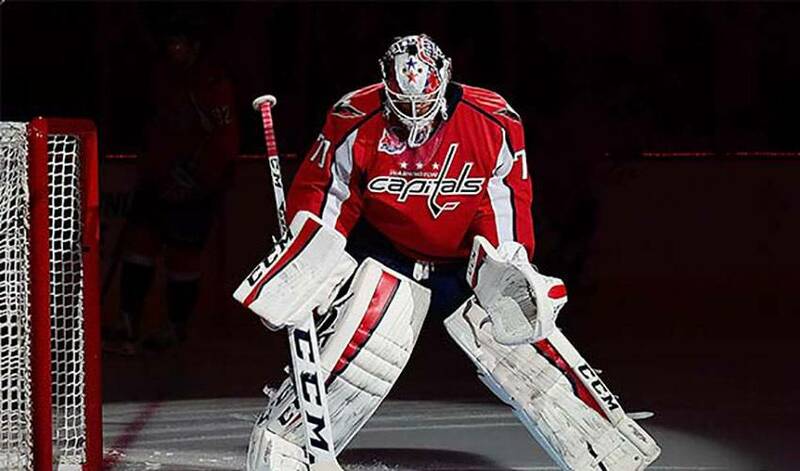 70 was worthy of First Star honours after making 30 saves in Washington’s Game 3, 1-0 win over the New York Rangers. The victory was the fifth of this year’s playoffs for the 25-year-old Saskatchewan native, an effort that saw his goals against average fall to a sparkling 1.54 mark. Holtby won a personal-best 41 games (second-most overall in the NHL) in 2014-15, and stopped 1,887 shots on 2,004 shots taken, both league-highs. STAT PACK: 11-9-10. That’s the number of saves Holtby made in each period to earn his first shutout of this year’s playoffs. NEED TO KNOW: His father, Greg, was a goaltender for the Saskatoon Blades and the University of Saskatoon. HAPPY ANNIVERSARY, BRADEN: It was the second career playoff shutout for Holtby, whose first one happened to come two years ago to the day, also a 1-0 win over the Rangers. NO GOALS FOR YOU: On April 8, 2015, Holtby and the Caps defeated the Boston Bruins, 3–0. Having already blanked Boston in his previous two games in 2014-15, he became the first backstopper to net a season-sweep of three or more games against Boston without allowing a single goal against. COME ON IN: Holtby made his NHL debut on November 5, 2010, against Boston, replacing Washington’s starter with 10 minutes left and the game tied 3-3. He turned aside four shots as Washington went on to win. WORDS OF WISDOM: The best advice Holtby ever received was a quote by Victor Hugo written on a plaque given to him by his grandparents. "There is nothing like a dream to create the future." HONOURABLE MENTIONS: Jay Beagle (1G) scored the game-winning tally against the Rangers. Henrik Lundqvist made 21 saves in another strong performance by the New York netminder.